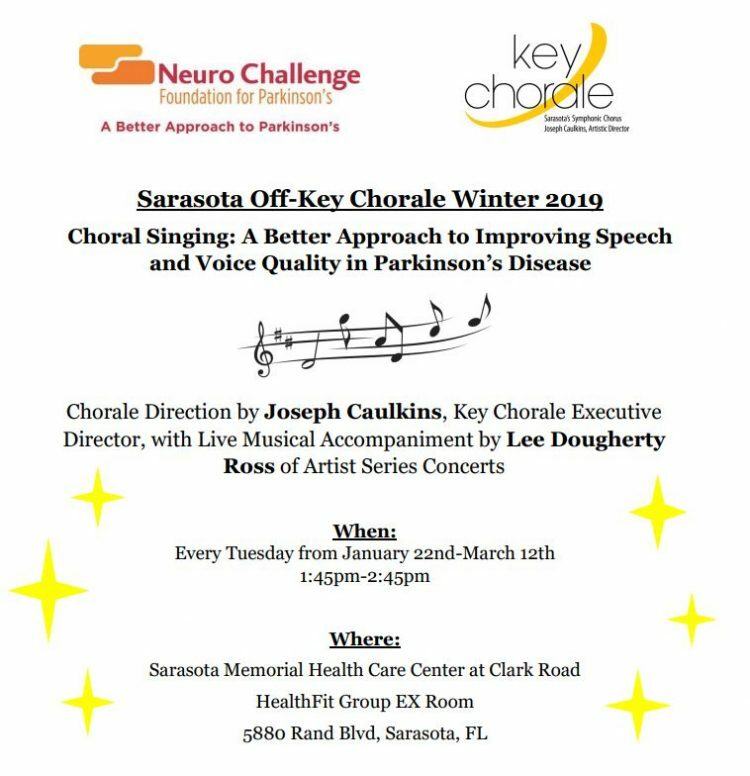 Off-Key Chorale is a partnership with the Neuro Challenge Foundation, Inc., Key Chorale of Sarasota and Artist Series Concerts of Sarasota with the support of the Sarasota Memorial Institute for Advanced Medicine (IFAM). This choral group is comprised of people living with Parkinson’s, family members, caregivers, and volunteer singers from Key Chorale. They meet in each week at the Institute for Advanced Medicine in the group exercise room of Sarasota Memorial HealthFit. 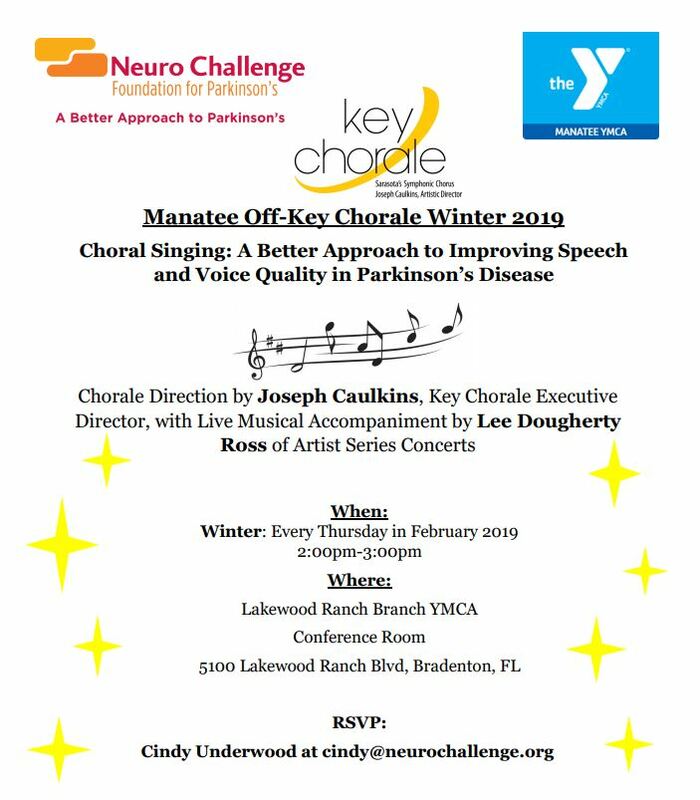 Led by Artistic Director, Joseph Caulkins, the Off-Key Chorale provides an opportunity for individuals with Parkinson’s disease to improve and strengthen their voices through singing, and provides a fellowship activity for people whose social opportunities are often limited by this disease. Click here to listen to the beautiful voices of Off-Key Chorale. If you would like to be a part of this wonderful group please join us at one of our rehearsals on Tuesdays from 1:45PM – 2:45PM. I’ve been fortunate in my life to have had many mountaintop experiences from standing atop Grand Teton in Wyoming to the snowy summit of Europe’s 15,578-foot Mont Blanc. Surprisingly, my most recent mountaintop experience didn’t come surrounded by jagged rocky pinnacles, but instead in an unassuming exercise room at the end of a long hallway in the Sarasota Memorial Institute For Advanced Medicine.